We bring in use the best quality stainless steel and carbon steel for manufacturing Aging Vat Ice Cream machines. The stainless steel conforming to SS 304, SS 316, SS 304 L, SS 316 L grade are used in the production process. 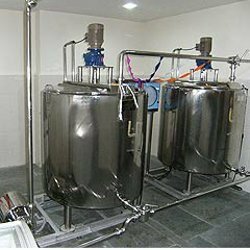 The aging vat ice cream equipment designed and installed by us are of superior quality. The aging vats can be with integrated condensing units with dimpled plate welded at the bottom of the tank or without condensing unit. 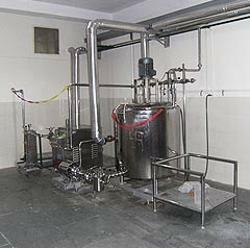 We manufacture complete Ice Cream Mix Plant from 200 LPD to 10000 LPD in compact SS skid. We have used PH-Es to heat the mix and two stage PH-Es for chilling the mix. Looking for Ice-Cream Turnkey Projects ?